Offering a gift of fresh fruit and gourmet foods is a traditional way to express condolences and let them know they are in your thoughts. 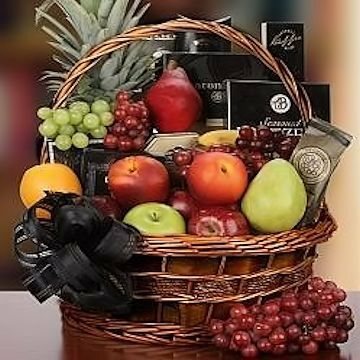 A wicker basket is filled with fresh fruits and gourmet foods and hand delivered to the recipient. Fruit and container may vary.